We live in a time when acrimony and resentment seem to be at an all-time high. These days, individuals feel comfortable hiding behind screens to voice their opinions without giving much thought to the repercussions or the feelings of others. I freely acknowledge that there have always been mean-spirited people in our lives, workplaces, schools and communities. However lately, it seems as if there is carte blanche to act like a jerk. Maybe this is why kindness seems a bit harder to come by, and why I find myself mentoring young people on how to deal with difficult colleagues more than usual. I am certainly not immune to jerks. We’ve all dealt with them — the mean-spirited colleague who thought they knew everything. The person who did not like to share their toys in the proverbial sandbox. The team member who jumped at every opportunity to claim credit for success, plow over others or immediately blame others for failure. Simply put, we’ve all worked with jerks. While jerks can be highly effective at delivering results, don’t confuse value with productivity. By this, I mean that the toxicity jerks infuse into a team and their work environment can significantly outweigh their contributions. These folks tend to be mean-spirited, manipulative, and can often undermine both the organization’s work and their colleagues’ productivity. They cause strife and, in some cases, drive excellent colleagues away from an organization. At the end of the day, they do far more harm than good, and they make the work environment an unpleasant place to spend the day. Throughout my career, I have managed a few so-called jerks. While it has not always been easy, and I have certainly made my share of mistakes, I’ve learned to effectively deal with these personalities along the way. Beyond that, I’ve developed some management techniques for how to handle them. As far as I’m concerned, jerks need not apply to positions within my organization. I have adopted a strict “jerk-free” policy for every organization I lead. From the moment I walk in the door on the first day, I articulate that jerks are not welcome. Personally, I would much rather work with a less experienced person who is kind-hearted and receptive to training than an arrogant jerk, any day of the week. So, how do you move from simply putting up a “jerks aren’t welcome sign” to creating a jerk-free culture? How can you cultivate anti-jerk behavior across your team and coach others to do the same? 1. Communicate. Talk it out from the outset. You need to communicate, communicate and communicate again. Let your teammates and colleagues know what you need and what you expect. You want to set expectations from the outset, so everyone is on the same page, and there is no room for confusion or deniability. You should also be open, transparent and honest. While there are times it is not the easiest thing to do, the payoff is huge and will keep things running smoothly. 2. Lead by example. Jerks gravitate to jerks. Do your best to be kind, helpful, open and honest. It will do more to inspire others and generate positivity than anything else. 3. Build trust. You build trust and inspire loyalty when you foster an environment where differences of opinion are welcomed and encouraged. Where there is trust and good feeling, it makes it harder for jerks to thrive. 4. Let them know. If someone is a jerk and you feel uncomfortable, let them know. Don’t let behavior that bothers you fester. You want to nip it in the bud. In a positive non-judgmental language explain to them how their behavior is not working for you and reflect on how things can change. I always say the first approach to any situation should be: acknowledge, reflect, move forward. 5. Value differences. It’s important to celebrate differences and the wide variety of skills team members bring to the table. If folks feel they have a unique niche to fill and special skills to contribute, they are less likely to be passive aggressive and will feel confident in their contributions. 6. Celebrate. Having a good time is essential. Work is hard, and it’s important to let off a little steam sometimes. I can’t encourage enough the opportunity to have fun and facilitate opportunities where colleagues can get together outside of the office. 7. Coach it out. I have found that all is not lost when it comes to jerks. There is hope. Some jerks can be rehabilitated. They just need effective coaching to turn their attitude around. 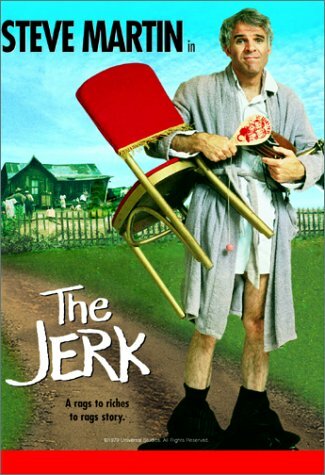 Of course, there are rare cases when a jerk is, and always will be, a jerk. Unfortunately, there are times when you will have to make the tough call and leave them behind. A jerk-free workplace certainly has numerous benefits. Not only is your space more enjoyable and pleasant, but a no-jerk policy also attracts and contributes to retaining the best possible team members — those who are incredibly productive, highly effective and extremely positive. What team member wants to sign up to work with jerks? A positive environment drives productivity as time is not wasted battling destructive behavior or playing pointless games. It also enhances quality and helps delivers excellent customer service, because team members are happy in their work. The ripple effect of that is that they pass it along to anyone with whom they interact. Think about it: Your team is like a family, and frankly, we often spend more time with them than anyone else in our lives. While we all enjoy a wacky cousin or a wisecracking uncle, no one likes to engage with the family member who is always complaining or rude to others. So, do you and your fellow team members a favor and say goodbye to the jerks. Make more room at the table for positive and enjoyable folks. Everyone will be glad that you did.